The Ohio Affiliates of Susan G. Komen® were proud to support HB 112, recently signed into law, which will allow Ohio taxpayers to contribute a portion of their state tax refund directly to the Ohio Breast and Cervical Cancer Project (BCCP). Ohio’s BCCP, funded at the current levels, is only able to serve about five percent of the eligible women in Ohio. The BCCP Tax Check-Off will enable the program to serve up to 1,700 additional women (approximately an 11 percent increase) with life saving and cost saving access to early detection, diagnostics, and treatment. In 2013, 9,060 Ohio women were diagnosed with breast cancer and nearly 1,720 died of the disease. Ohio is 32nd in the nation in incidence of breast cancer but ranks 4th in mortality. Early detection is a key to survival. When breast cancer is detected early, before it spreads beyond the breast, the 5-year survival rate is 98 percent. Once the cancer cells spread to other parts of the body, survival rates plummet to 23 percent. Early detection saves Ohio money. When breast cancer is detected at later stages, treatment is up to 3 times more expensive than when it is detected early. Ohio’s Breast and Cervical Cancer Project (BCCP) provides breast and cervical cancer screening and diagnostic services to women in Ohio who do not qualify for Medicaid and have annual incomes at or below 200% of the Federal Poverty Level. If a woman is diagnosed with breast cancer through the program, she is eligible for treatment for her cancer through BCCP Medicaid, which she may not have been eligible for based on her income. This is a critical and life saving safety net for the working poor in our state. In Ohio, these are the same women who make too much to be Medicaid eligible and too little to qualify for stipends on the state insurance exchange. BCCP provided screenings to 15,000 Ohio women last year and diagnosed more than 200 cancers. State funding to BCCP was reduced from $5 million in general revenue funds in FY08/09 to only $1.6 million in FY12/13 – a cut of almost 70 percent. State funding has remained level in current years. At current funding levels, the BCCP can serve only six percent of the more than 270,000 eligible women in Ohio. To ensure low-income, uninsured Ohio women have access to the BCCP’s life-saving services, the tax check-off will allow Ohioans to voluntarily contribute any portion of their eligible state tax refund directly to the BCCP to support breast cancer screenings across the state. With maximum support, the tax check-off could allow as many as 1,700 additional women, an increase of almost 11 percent, to receive screening through the BCCP. 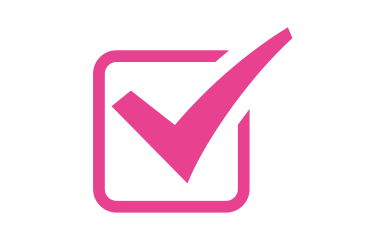 The Ohio Affiliates of Susan G. Komen will launch a social media campaign to activate our supporters and the general public to participate in the tax check-off. We will share pieces of this campaign with you to share with your constituents. For the 2014 tax year, the State of Ohio has pledged to match all BCCP tax check-off contributions three-to-one, increasing the potential impact by 75 percent. Print and share this BCCP Flyer.